September was too much fun! Thank you for being a part of my life this September. 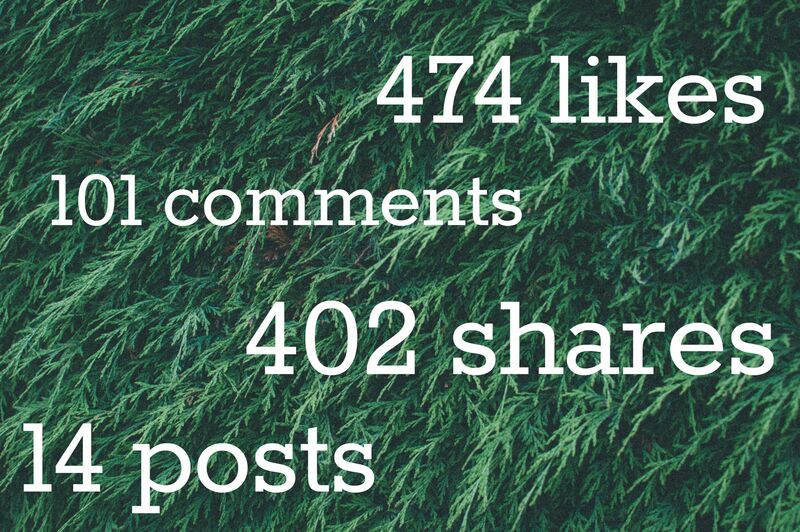 It was my four-year blogiversary, and WordPress was my #1 referrer other than search engines! I went to Penned Con in St. Louis this month! I met so many new authors and readers, and had a blast! For those of you who came by our Halloween table, Natasha Hanova and I were giving away Halloween candy…and sometimes, I wore a Pikachu hat. It was fun! The paperback of Bad Bloods: November Snow released! It debuted at Penned Con, and that was way too much fun! 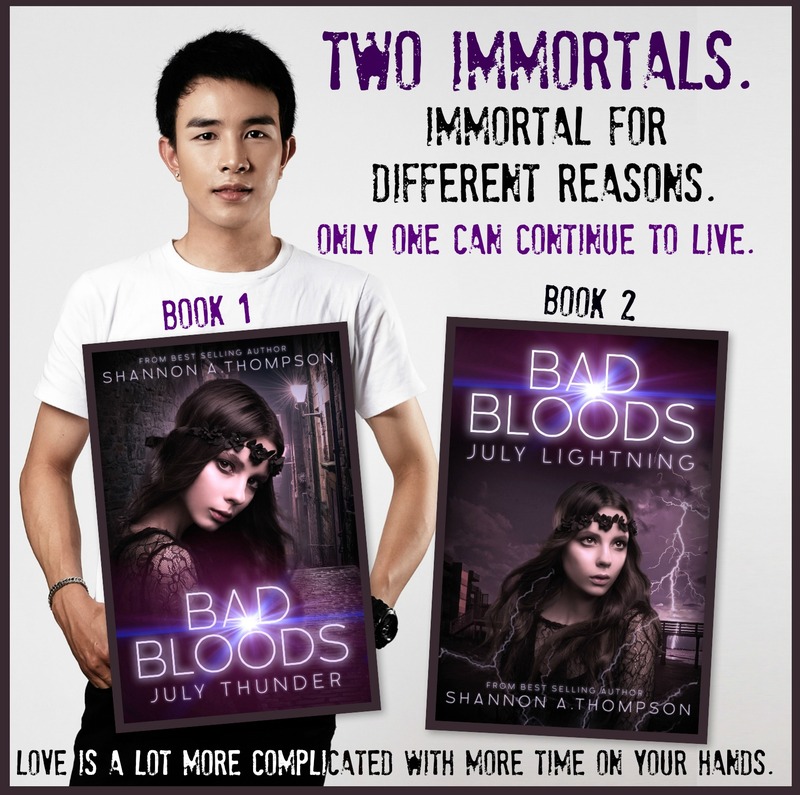 I’m now offering signed copies of Bad Bloods, too, so feel free to shoot me an e-mail if you’re interested. 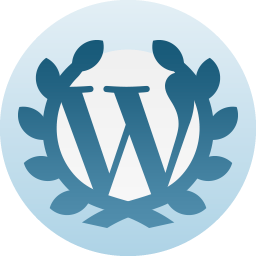 My four-year blogiversary with WordPress also happened this month! I cannot BELIEVE I started blogging way back when in September of 2012. 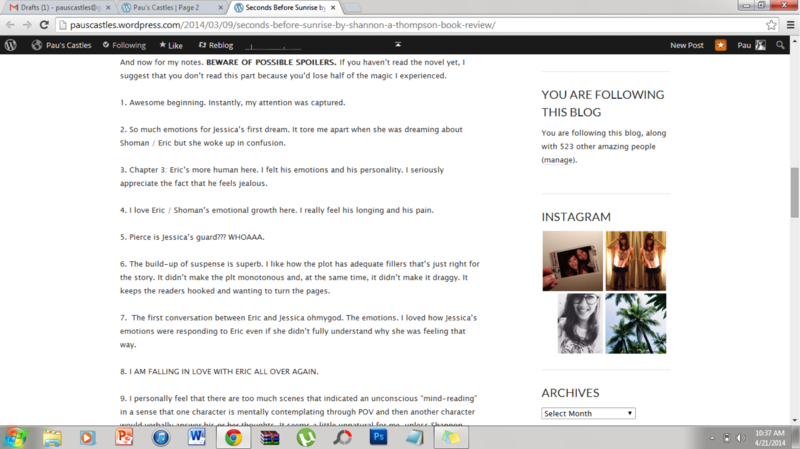 I freakin’ love blogging, and I’m not going away anytime soon. 1. Help! My Female Character Is Flat: While writing my latest manuscript, I realized my female character was flat. How? Because I was holding her back. Why? Because I was afraid. When did I get scared and why did that happen…and how did I overcome it for her and myself? Read the article to find out. 2. Writing Quicksand: I use the term writing quicksand to describe when writing it doing more harm than good. It does happen, but that doesn’t mean you can’t overcome it or acknowledge it. This is how I got out from my quicksand and started writing again. 3. My Protagonist and Illiteracy: As many of you know, my protagonist—Serena—in Bad Bloods is illiterate. This article is about my journey in writing an illiterate character and why I chose to do so. #SATurdate: Sequel Sneak Peeks, The Light Between Oceans, Rook, & Cupcakes: A weekly update of what I’m writing, reading, watching, and baking! #SATurdate: Pumpkin Spice Lattes, The Marked Girl, One Mississippi & Violins: A weekly update of what I’m writing, reading, watching, and baking! Website Wonders and Four-Year Blogiversary: A monthly list of all the websites I loved and shared. 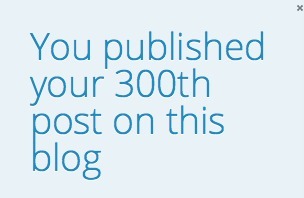 Also, it was my four-year blogiversary. Can you believe it? 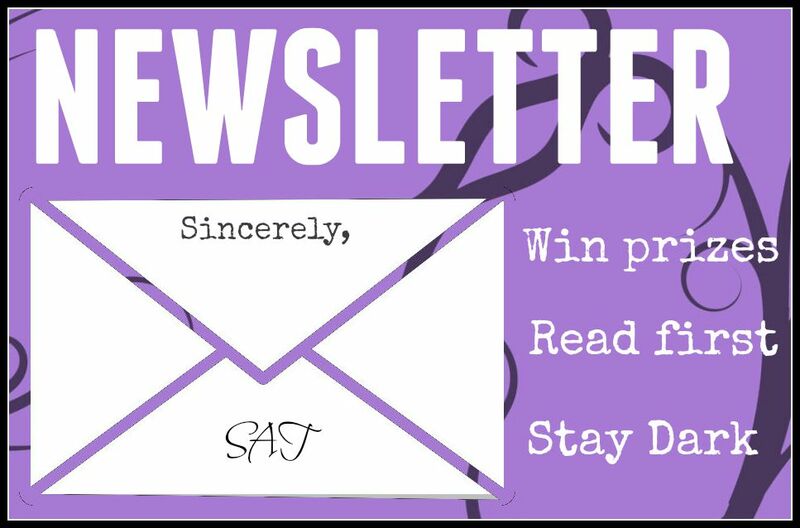 #SATurdate: Penned Con, Descendants of the Sun, Snow Like Ashes, & Paperbacks: A weekly update of what I’m writing, reading, watching, and baking! #SATurdate: Blue Lily, Lily Blue, Jane Got a Gun, Sausage Party, & Galaktaboreko: A weekly update of what I’m writing, reading, watching, and baking! November Snow Paperback Release & Sequel Sneak Peeks! The paperback came out and I released a bunch of surprises! Penned Con St. Louis & Natasha Hanova Interview! 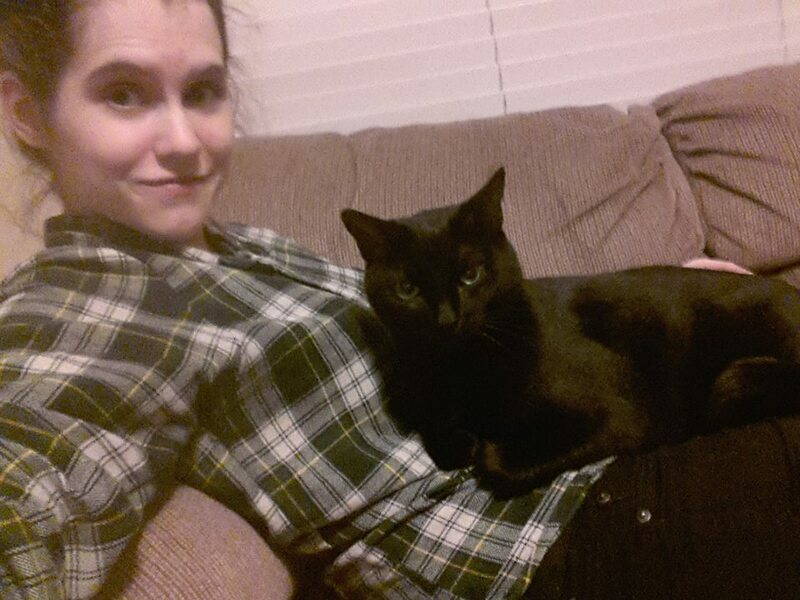 Before I went off to Penned Con with Natasha Hanova, I interviewed her for all of you to meet. Check her out. “I highly recommend giving this a shot. Time for part 2!” –Infinite Lives, Infinite Stories, November Rain. November Snow is still my favorite novel of mine. There. I said it. I kind of do have a favorite child. Does that make me a bad parent? Maybe. That’s probably why I don’t have children. (Just kidding.) But in all seriousness, I have an urge to write in November Snow right now, even though my publication goal is to release that AFTER Death Before Daylight. Well, here’s the uglier confession: When I picked up November Snow, it terrified me. Yes. Terrified. I had to force myself to put it down, and it has been sitting on my desk all week. I have barely touched it until I picked up last night, which is probably why I’m writing this. Why did it terrify me? The story is controversial. It’s dark. It’s violent. And it’s honest. It forces me to face the facts. I’ve lost a part of myself in my writing. I used to write darker stories, and I want to continue to write them, but I’m afraid to now. There is no easier way of putting it. I have hesitations. I keep worrying about what my readers will think of me, what my family and friends will say. Even though I’ve always thought I have surpassed this, I think I’ve been lying to myself a lot. I keep coming back to that time in high school when classmates and teachers thought I was disturbed after they read November Snow. I keep reflecting on that judgment, but – even worse – I’ve placed that judgment on myself. Unnecessary – this is my big problem that I’m currently going through. 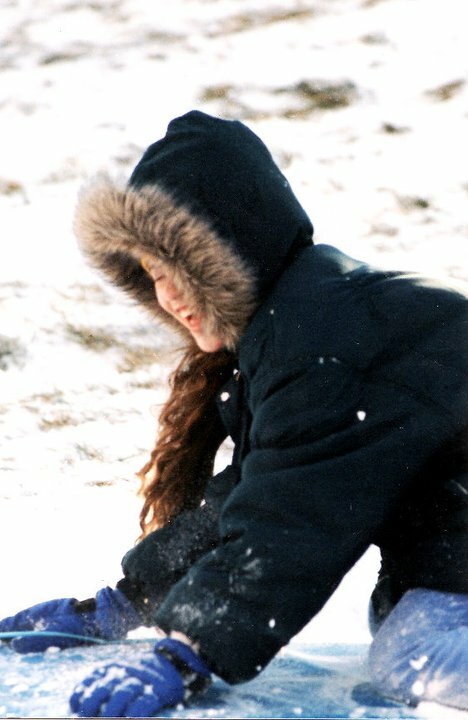 This is when I’m holding back the truth in November Snow because of various reasons. This is when my 11-year-old self – the girl who started writing this story – is sitting somewhere inside of me and screaming at me (or laughing at me, either one) because she knows I’ll get over it before I even know I’ll get over it. I feel slightly insane right now, arguing back and forth with my past self. But it’s the truth. She may not have been grammatically correct. (Okay. So she desperately needed an editor.) Her prose may have been so poorly written that it makes me roll my eyes. But she was fearless. She was capable, and passionate, and raw, and she could care less what a reader or a classmate thought as long as she was true to the story. But me? I don’t want my female protagonist to be weak. I don’t want readers to think I’m white-washing my characters. I don’t want a reviewer to think my characters are sexist or prejudice or disrespectful or gratuitously violent. I don’t want the message to be misconstrued. But – most of all – I realized that I was so worried about these topics because I was afraid that a reader would reflect their thoughts of my novels onto what they think of me. I returned to what happened with November Snow: I don’t want the reader to judge the book like they are judging me. But I shouldn’t be worried about me when it’s truly about the story. I find myself fighting these parts in my stories because of how someone might take me as an author when I should be more focused on just being true to the story. It’s never been about me. It’s about the story. If my female character is weak, well, then, she’s weak in the reader’s eyes (and she might, in fact, be weak.) But you know what? She’s a human to me. She’s real to me. And real people can be weak. Just like I have been recently. It takes a lot to admit how weak we can be in order to become stronger, so I hope this helps me face the facts and begin to grow with my eleven-year-old self again, but I ultimately hope it helps writers who’ve struggled or might be struggling now. I hope every writer who struggles picks up their pens when they know they’ve dropped it somewhere along the way. 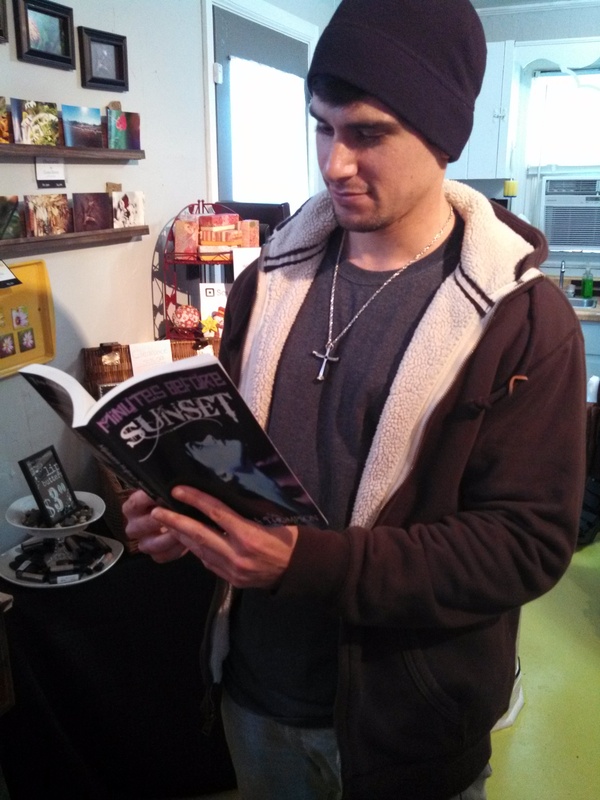 Special thanks to The Leisure Zone for reviewing Minutes Before Sunset: “A great read. I absolutely enjoyed reading it and it does take your imagination for a ride…This is a great leading book. I cannot wait to read the following books.” Click here to read the full review or click here to check out Minutes Before Sunset on Amazon, only $3.89. Also, you might have noticed that my progress bar is updated on the right side of my website! I try to update it every two weeks, but I am really looking forward to the release of Take Me Tomorrow and Death Before Daylight. People are obsessed with firsts: a baby’s first smile, winning first place in a race, your first love, getting arrested for the first time. (Okay. So maybe not that last one.) But we do like firsts, and I think it brings up a topic writers don’t normally talk about or even consider. What are your characters’ firsts? No. I’m not talking about their first steps when they were a baby. I’m talking about the first time they appear in the story, the first time they talked, the first time they laughed, the first time they really opened up and showed some depth to their created soul. Characters are just like people except that we can decide exactly what that first impression will be. Maybe their first impression will be great and readers will consider loving them. Maybe everyone will hate them. You can do both, and that’s the beauty of it. You can even get really complicated and strive to have the reader love them while the characters hate them. But enough of my rambling. Below I’ll explain some first impression parts to consider with examples from Minutes Before Sunset. This is important for the obvious, main reason: a first impression is largely based on how someone appears, how they act, how they think or talk. This “first appearance” can be an appearance a reader sees first or an appearance the other characters see first. Consider both of those moments carefully because you can set up how a reader might judge a character for a long time. For me – as a reader – I have become very confused when a character is introduced in a very violent or angry way when they suddenly become very nice seconds later. It’s like whiplash. Scenes like that make more sense to me when I already know the character. (I’m not saying it cannot be done. What I am saying is to approach first appearances with care.) Below are examples of characters appearing to the reader first. In Minutes Before Sunset, Camille appears in the very first chapter. Although Eric is six, she is already his guard (and she is only nine!) We see her as soon as Eric’s father leaves him alone – and, unlike Eric’s father – Camille asks Eric is if he alright. This sets up their relationship as a caring one, but it also shows the responsibility Camille has to take care of the male protagonist. Fun fact: we don’t see Camille’s human appearance until page 21. I could go on and on about how their different identities appear at separated times, but she appeared as a guard first because that part of her life is more important to the story, to Eric, and to her. What a character says can define them just as much as what a character does. I find first lines to be good indicators on what we can expect from a character: are they funny? Angry? Bitter? Responsible? Yes, of course their personalities develop far beyond their first lines, but first lines normally happen at the same time as first appearances, which are usually important scenes, so first lines – by default – reveal extra insight, like if a character speaks with an accent or not. Moments like these then become defining factors. But I would say that you don’t have to take this literally. The first line doesn’t necessarily mean the exact first line. It can mean the first conversation they have. This can get tricky, because stories have dozens of characters and each one of them is going to interact for the first time eventually and – most of the time – it’s only the “first time” for the reader. Most of the time, characters have a past, so they aren’t speaking for the first time, but that’s also the point – the “first” conversation can show whether or not characters have a past as well as other things, such as a social ranking difference (sir, ma’am, etc.) and/or if their past is a good one. Are they friends? Are they enemies? Are they competitors? Do they talk or is this a rare instance? Considering these questions can help shape how one character approaches another one while also hinting to the reader about how they always interact – before and during the story. She laid out her hand for a handshake, and I pushed my chair against the wall. “I heard your name when Ms. Hinkel assigned you,” I said, opening the chemistry book left on my desk from the previous period. I was not interested in small talk. We both jumped, and our conversation halted as we turned around. In front of us, Eric stood inches away, and the teacher hovered behind him, crossing her arms. “Er—Eric,” I managed, and Crystal stared. Both of these “firsts” show Eric’s history as well as his emotional state, but the moments also reveal character traits of Jessica and Crystal. While Jessica wants to be nice at first, Eric isn’t interested, and the tension between Crystal and Eric is still present, despite the two years that have passed since Abby’s sudden death. However, this would be a good time to say that “first” interactions are just as important as how the characters continue to act and grow. Later in the story, all of these characters’ relationships shift dramatically. So I hope you have a few places to start in regards to your characters’ firsts. You might even crack open a favorite book you’ve read just to see what those characters’ firsts were. They might surprise you. I know I had a few that shocked me. Shannon again to announce two events and today’s guest blogger. Books for Thought posted an interview I recently had with them where I discuss even more of my strange writing habits, my ultimate dream, and what I like and dislike about the writing process. Check out my answers and more by clicking here. Also, I would like to thank Reviews and Recommendations for recommending me! Today’s guest blogger is Jonas Lee. He also hosts the blog Jonas Lee’s Imaginarium. 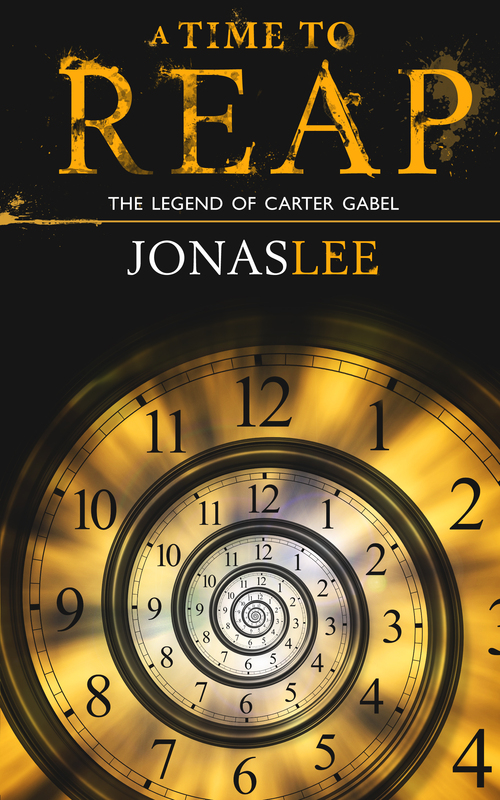 A writer and challenger of the imagination, Jonas Lee is on his publishing adventure, and he shares his thoughts with the world. 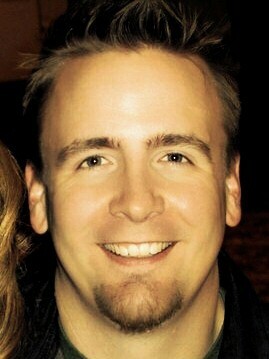 Welcome today’s guest blogger, Jonas Lee! William Ernest Henley said it best in the last line of Out of the Night That Covers Me. Since I’m foregoing the traditional path, I decided on looking into being self-published. Self-publishing is a new opportunity for every writer to become an author. You can write a 400 page novel saga about the differences of Coke and Pepsi and make it available to the world. Keep in mind, self-publishing does not equate to selling. So, you’ve gotten to the point where no one is biting at your manuscript; or you just want to get your work out there and let it spread slowly throughout the world of literary media like a virus. Self-publishing is the way to go. Where to start though? Book edited by someone other than you? By at least three different people? A professional? If that last one is a no, ease back before you just wildly post it on the Interwebs. I thought mine was good on the second round of edits. Then taking a week, stepping back and hearing from a couple of people on a few flaws (by few I mean tons), it was obvious that I should take more time. Then after having a cursory edit from someone who edit for a living, I am certain that editing is key. Think about putting your work, your art, your passion out there and it contains simple typos, grammatical issues or a problem with flow. First impressions happen once and you don’t want to be caught seeming like you are incompetent or don’t take pride in your craft. If you are setting out on your own, you want the first experience to be the best and kick-start the momentum from there. What I’ve found from my research so far on self-publishing is that it takes a motivated person with a clear plan to reach the heights they want to achieve. Unlike being picked up by a literary agent, you will act as your marketing department, publicist, publisher, proof-reader, editor, legal consultant, accountant and artist for your cover art. Granted, you can hire out a majority of these functions, but how much would you like to sink into your novel before you get any return? Get that figure in your mind first. Then break it down to a time table that you’d like to see. First things first, before you submit an eBook or self-print, edit your book! Professionally. Then you’ll need cover art. Cover art can be anything. There are websites out there to help guide you through some basic covers to get you started. *Note: Do not just pull images off of the internet and use them because “you found them for free so they must be free.” Artists can sue you for using their images without their consent, and it doesn’t have to be immediately. You can push out a book and it takes off and soars and reaches the top of Amazon. Then the artist whose cover art you pilfered from sees it and he wants his royalties. Do you want to be sued for up to $125,000? Take the time and buy the prints. Prints can cost from $20 and up, but then they are yours to play with and manipulate. C Your A. How many people in your family or social groups would be willing to help in any occasion? Don’t expect the world to do your bidding, but trade services. If you know an artist that will do your cover art for helping them sheet rock their basement, do it! If you know an accountant that will give you advice for wine, barter and make it work. Cover art done and editor lined up, so what next? Like any hopeful author should do in these circumstances, read up. Research your audience and get a clear idea of who you want to buy your book. I know we’d like everyone to buy it, but let’s face it everyone has a genre or niche they are appealing to. Then use that to find creative ways to market and get known. Next in line, talk with an accountant. Seems presumptuous? No, seriously, if you are going to spend your money on a “business venture” such as writing, they will be able to help you find the right path to start on. First off, you are a business once you post your work for sale, so you need a Tax-ID or and EIN (Employee Identification Number). In my state, you have to register yourself as a company. Sounds silly when you are just hoping for a few sales at first, but trust me, when you start propelling and picking up speed, it’ll be a great investment. Plus, if you wind up getting signed by a literary agent, you’re eliminating steps they have to take. Who doesn’t want less work?? Your accountant should steer you towards any paperwork that you need to accomplish that. Oh, and yes, it will cost money to register yourself. On the plus side, it should be tax deductible. In fact, keep receipts for anything you spend time or money on (this includes your writing time). You never know when something can be written off. Another perk on registering your name as a business is that write-offs for business expenses are possible. Check with an accountant on what those may be. However, your business registration will also allow you to set up back accounts (very handy for people using a pen name). After your editor, cover art and your accountant, now… Refer to the C Your A comment above. Copyrights. DO NOT post a book or set of short stories or poetry without making sure that they can’t be picked up and sold by another. Unless you are wanting them to remain free to whomever wants it. Copyrighting can cost money but its a wise investment. Otherwise, the free way to copyright, albeit less formal and more work, is to seal your manuscript in a waterproof envelope and mail it to yourself. Keep in mind, don’t open it. You do that and it’s back to being a stack of paper up for the taking. Mailing it and keeping it in a safe or at least a secure place ensures it in case your story winds up in a publishing house somewhere or on TV. The government basically time-stamped and delivered your insurance policy. Lastly, a great option an aspiring author should be looking into formatting your manuscript. Even though it looks great on Microsoft Word, e-Readers speak a different language altogether and your masterpiece might look like it was shuffled into a deck of hieroglyphics and empty space. So, stew on those tidbits. Connect with Jonas Lee by clicking here. Shannon, here, for an announcement. 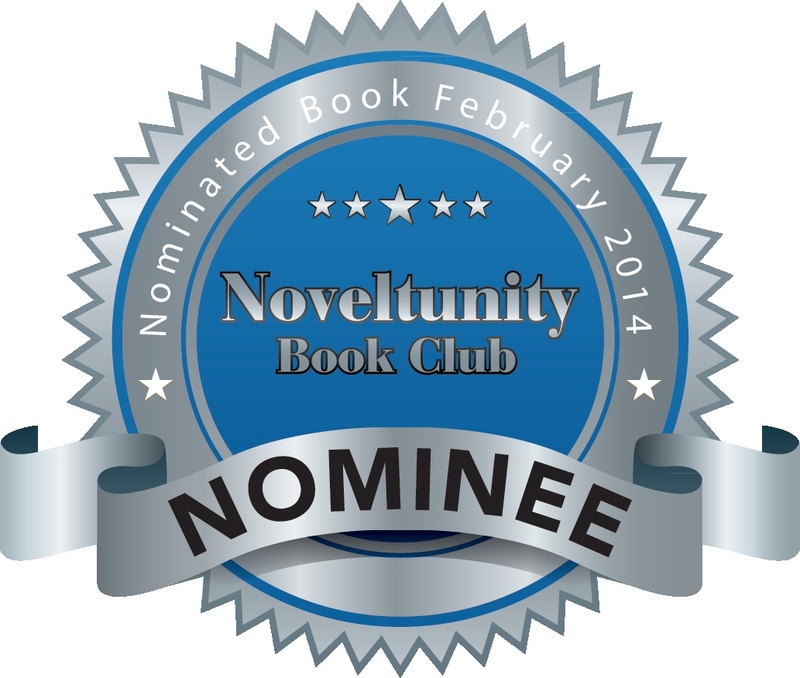 Minutes Before Sunset was featured on Friday Fiction. You can read an 1,000 word excerpt by clicking here. The scene happens between Jessica and Eric, and it’s from a chapter told from Jessica’s perspective. Now an introduction. Pau Castillo from Pau’s Castles has written a wonderful post about her technique behind her interactive book reviews. I believe this post is great for readers and authors, especially book bloggers who might be considering a new aspect to add to their websites. Using her interactive method allows readers to be both entertained and engaged while reading and reviewing. As an author, I highly recommend her reviews – but check her out for yourself. She’s stellar! Thank you for blogging here today, Pau. 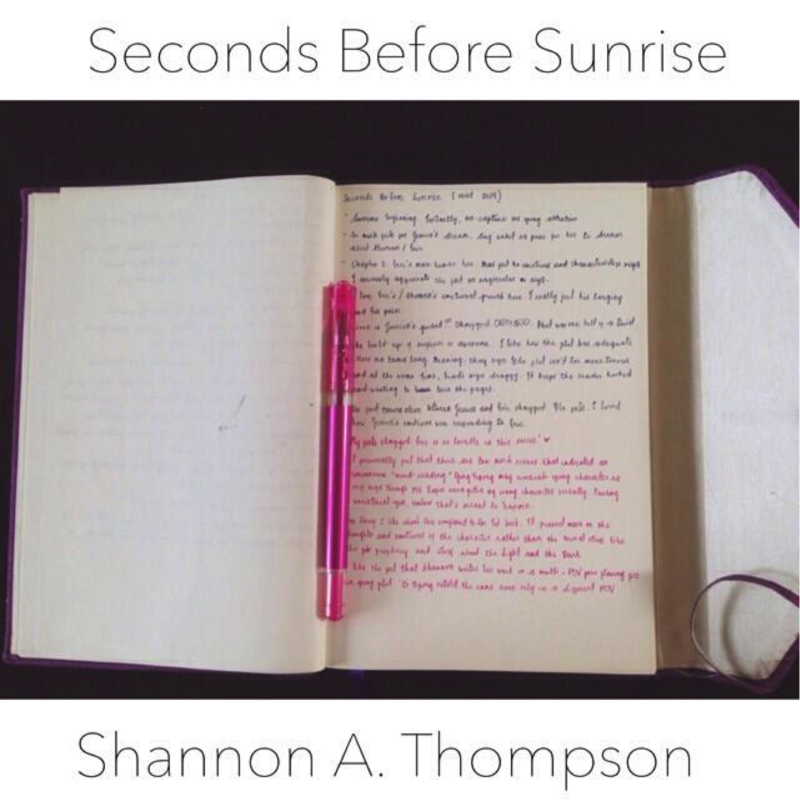 Good day to all avid followers and readers of the lovely author, Shannon A. Thompson! My name is Pau, a 20-year-old blogger from the Philippines and I’m here to share you how I do my book reviews. Before, I used to think the way I do my reviews is… quite typical. Or rather, I’ve never thought highly of it. I thought it was just right to do the things I do but, apparently, I’ve gotten some praises from other authors because of it. They appreciated my “notes for authors”. So what are notes for authors? Well, as the phrase claims, it’s my portion of my review post that contains my notes for authors. Usually, it contains spoilers. Lots and lots of spoilers. Which is why it’s usually just for authors and not readers most especially if they haven’t read the book yet. Here’s a screenshot of my notes portion from my review for Shannon’s Seconds Before Sunrise. The notes portion basically contains my thoughts as I read the novel. Usually, I take note of the pace, character development, plot development, plot twists, fan-girl moments (especially when I’m crushing over a character. In Seconds Before Sunrise‘s case, Eric Welborn) and, sometimes, grammar and redundancies. English is not exactly my first language so grammar is not usually something I deeply look into. As for ARCs, I also take note of possible typographical errors. Here’s a screen cap of Jasmine Carolina’s comment about my review. I greatly appreciated this one because, although I became a little technical with my notes, she still loved the review. Jasmine Carolina recently published her first novel called Losing Me, the first book of a trilogy. It was a great novel! Lastly, other than the notebook author notes, I also tend to live tweet to authors (with minimal or no spoilers at all) while reading their works. I personally like them to feel my actual emotions at the very moment I’m feeling them. 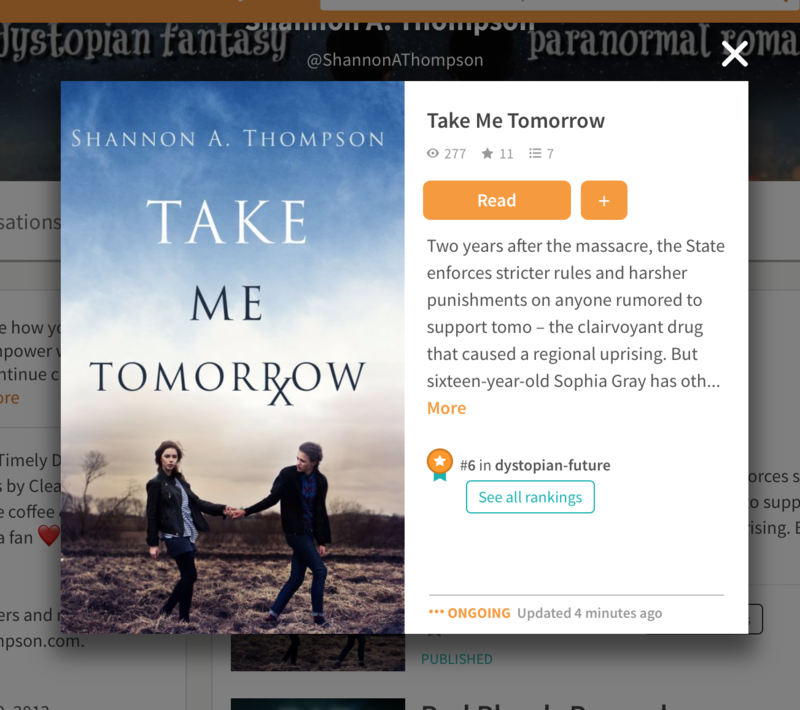 Shannon and another author named Amber Skye Forbes (author of When Stars Die) loved the live updates. So basically, that’s it! For attempting book bloggers out there, you might want to consider jotting down your thoughts while reading a book and if you have a twitter account, you might want to live-update as well. It gives the authors the satisfaction and joy of knowing how we, the readers, truly felt while reading something they’ve surely worked hard on. 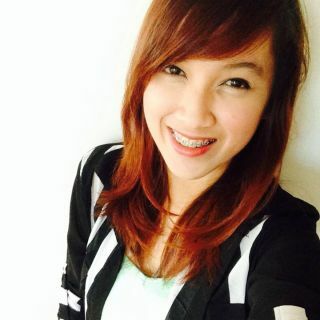 Pau is a 20-year-old blogger from the Philippines. Her blog is mostly filled with book reviews but, once in a while, she inserts some random stuff like her life as a media student, the places she discovered, and the restaurants / food stalls that forever scarred her taste buds… in a good way. She is currently a fourth year college student taking up Advertising which is a course commonly known as a zombie virus in the world of her school. During her free time, she is mostly stuck with a book or attempting to be an artist by doing calligraphy.